Married at First Sight: Can Nick and Sonia save their union? 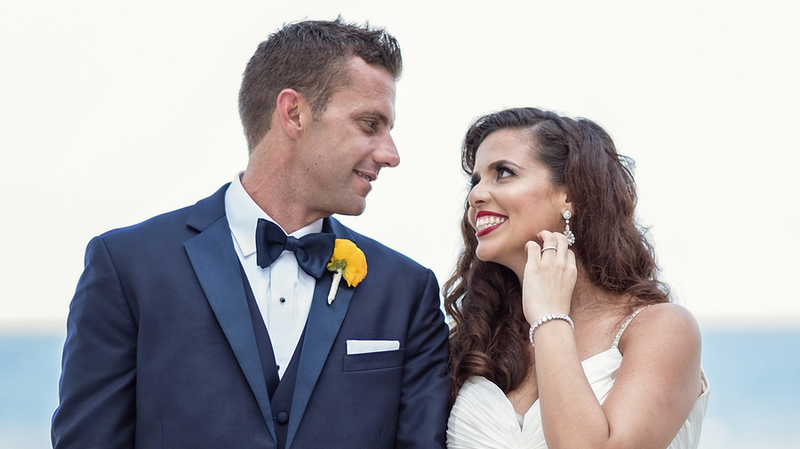 Sonia took off her ring and moved out of the house on Married at First Sight. She she decided that taking space away from Nick was appropriate at this point in the marriage. Sonia appears to be very forgiving and is willing to continue with the experiment. But, she tells the camera she is “scared he will hurt [her] again.” He is hoping to start over again, but he questions her not staying at the house and can’t seem to understand why she’s still upset. The experts tell us that these two are a great match, yet they can’t seem to find a comfortable level of emotional vulnerability together. Sonia tries to tell him how he hurt her, but instead he focuses on his wanting her to move back in the house. Sonia appears optimistic that she can continue to work on this marriage but is concerned that “he is too guarded.” Nick needs to work on opening up and creating an emotional connection with her. Nick drives his car while telling the camera that they have to work on getting to be friends first. Meanwhile, Heather is asked to meet with Derek as the divorce approaches. Derek and Heather sit down and asked what they have learned about themselves. Derek is feeling rejected by Heather wanting a divorce and seems to be a little uncomfortable with the meeting. Derek tells the camera that the meeting was awkward. I think it will turn out the best for this mismatched couple in the end to find love with more compatible people. The last remaining couple, Lillian and Tom, continue their journey with what appears to be a strong connection.The two celebrate their one- month anniversary and tell the camera that they feel close together. Lillian gives Tom a drawing as a gift. He tells her some of his wedding vow.Both acts display a caring and thoughtful connection.This is a great example of a few love languages at work. Each person is making effort in showing love and care.